Energy suppliers are moving with the times and developing iPhone and android apps that help consumers to retain control over their energy usage. Consumers can monitor and pay bills via their mobile phones. They can also track their energy usage, allowing them to compare gas and electricity consumption month by month. When individuals identify peaks and troughs in their energy usage, they may uncover opportunities to become more efficient. There are even mobile apps that allow consumers to control their central heating and electrical appliances remotely. We examine some of the energy-related mobile apps currently available and identify how they can make consumers’ lives easier. The app that EDF Energy has developed for the iPhone, iPod Touch and iPad lets their customers take a digital photo of their meter readings and submit them to EDF to allow it to prepare their bills. They can update their direct debit information, access energy-saving tips and request additional paper bills. Once the boring administration is out of the way, this app allows customers to have fun playing with EDF’s popular Zingy character. They can also access their instant rewards, known as Thank Yous. This app is not yet available in android format. Eon’s mobile app is practical and straightforward. It allows consumers to submit meter readings, access energy-saving tips, view bills and track energy usage over the past year. Customers can look at their current balances in real-time via the app, which can help them to manage their energy consumption. The Eon app is available for both android and iPhones. Npower has redesigned its mobile app after listening to feedback from its customers. The new version allows Npower customers to monitor and pay bills, submit meter readings and get answers to frequently asked questions. Npower has made it simple to access the app by including QR codes on its website that can be read by smartphones. This app is available for iPhones and android. The mobile app that is available to all British Gas customers allows them to manage their accounts using their iPhones or smartphones. They can download the apps from the British Gas website simply by using their phones to read the relevant QR code. Once the app is installed, customers can send in meter readings, pay their bills, check tariffs and usage, book an engineer and track the appointment status. They can also compare gas and electricity usage against the average for the local area. However, British Gas is not content with allowing smartphone and iPhone users to administer their accounts via the app. They have gone a step further and developed an app that enables customers to turn their heating on and off via their mobile phone. The technology required to support Remote Control Heating is available from £199. Once it has been installed, the customer’s mobile phone connects with a wireless thermostat via their broadband router. Whether customers are held up at work or get the chance to leave early, they can control the temperature of their homes to ensure maximum efficiency and comfort. This useful app won the Stuff Gadget Awards 2012 – Home Gadget of the Year. 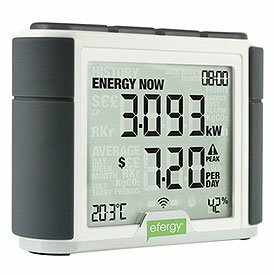 SmartEnergy has produced a range of products that allow consumers to monitor and control energy usage in the home. The SmartEnergy kit contains a hub, meter reader and display and is available to buy online for £49.99 plus P+P. This package allows consumers to track usage costs on their PCs or mobile phones, provided that they have the relevant app installed. When customers add SmartPlugs to the package, they gain the ability to turn appliances on and off at the socket. This helps to minimise energy waste and gives the householder complete control over energy consumption. When appliances are left in standby mode, small amounts of energy continue to be drawn from the socket. While these may appear minor for individual appliances, when the costs are multiplied across all the electrical items in the average home the value of the wasted energy begins to mount. The Standby Energy Cost Calculator is a free app that calculates the cost of all the standby mode items in the home. The default cost setting on the calculator is the US national average. Before consumers begin using it, they need to update it to reflect their energy supplier’s tariff.